Really pleased with the look so far, but obviously disappointed at the lack of changes to the layout. Lol, I can't even imagine the shitstorm if they even moved a single crate. With them narrowing B tunnels, it will be a storm somewhere in the world! From these slider screenshots it doesn't look like B tunnels is more narrow now. What makes you think that? They only look narrower due to their height. True that. I'm glad they made it higher, makes it a bit easier to toss nades into B.
Nading A-long will take adjustment, the building is much taller now. Spotted couple more differences in crates, A-connector crate is wider and lower, lower the one on A-ramp looks like, and taller? the one in mid (or at least removed the pro-jump). Personally I like much more B side of the map, visually speaking. Well, it was obvious that this would happen. But it's still just stupid. Unfortunately these guys are usually pretty loud so it's hard to ignore them. But Valve will just have to. The gameplay of the map is as close to the previous version as it can be. There are just a few small changes, that are probably intended and absolutely make sense to me. The visuals are really amazing, imo it's (by far) the best looking CS:GO map atm. But on the other hand it might be frustrating for ambitious community creators, because Valve have raised the bar so high that only a few will come even close to this level when creating custom maps. I had a run around - Still D2 - some big enhanced graphics and new stuff and seems like inferno So much detaiL ! . So many antennas. but the readability everywhere is not as big improvement at first glance as I thought it might have been. This may be different when playing comp . When you are T and you go through CT Doors you cant read shadows of anyone playing B ramp which is a game changer. Where is the pizza and Where is Sub Zero ?? They nailed it with this remake, absolutely stunning artistically and design-wise. New Inferno is great from gameplay design perspective, but it lacks in visuals and artistic quality in my opinion. 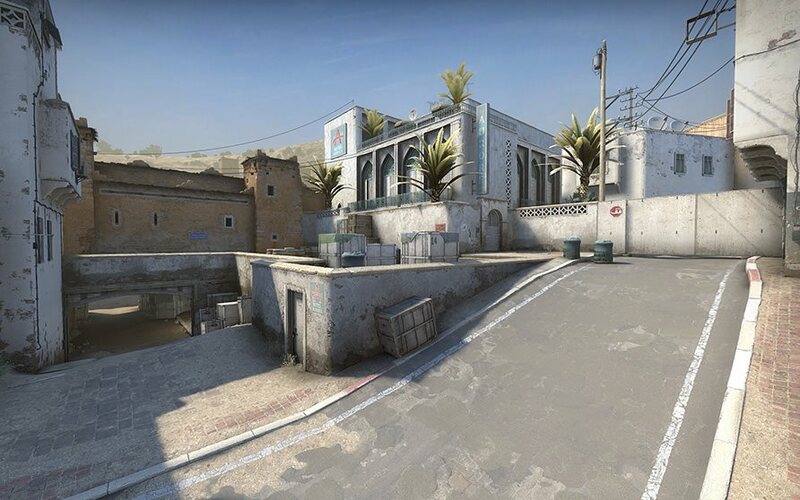 New Dust 2 raises the bar on both fronts while keeping frame rate decent.